A bold facade, with gabled roof ends, impart much street appeal to this H-shaped 4 Bedroom Double Storey Home. The authentic Cape-Dutch detailing adds panache to the exterior of this single storey house. This 4 Bedroom Double Storey Home has two verandas (one veranda is covered) extending the living space to almost all seasons. 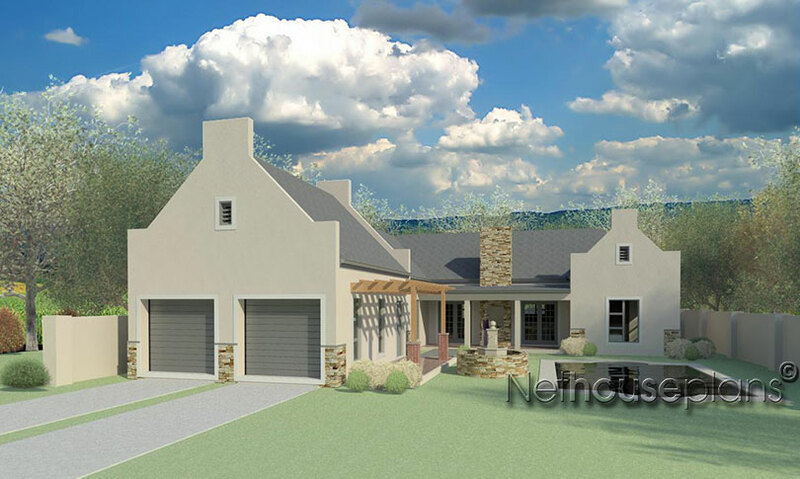 This sophisticated traditional style home is accented by the use of high pitched roofing. The blend of natural stone cladding and contrast paint details forms a truly spectacular exterior. More than just an ordinary traditional house, it has an expansive feeling to drive up to. The generous, well placed windows and proportionate roof ventilation grills gives this house the aesthetics of yesteryear with a modern country twist. 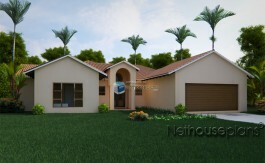 This 4 Bedroom Double Storey Home is a classic example of simplicity made modern. Enter this home from the covered front veranda, through two double door entrances, you find the centrally posed open plan dining and lounge area with a U-shaped open plan kitchen. The kitchen is adjacent to the scullery and features enough space for a full complement of home appliances. The bedrooms are designed in a split fashion. Two en-suit bedrooms are situated on the right of this house and share a hallway. The spacious 25m2 master bedroom is situated to the left and rear of the house and features a spacious walk-in closet and a full bathroom. On the opposite side of the master bedroom is another en-suite bedroom. 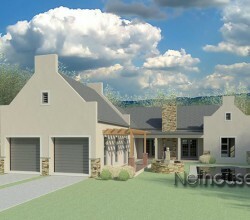 The covered veranda, with its built-in braai, is impressive and allows for both formal and informal living. A gentle warm ambiance is achieved by this floor plan inside and out. It is hard to even imagine this home going out of style. Double garages, veranda, deck, kitchen (with a kitchen island), scullery, dining, guest toilet, lounge, 4 x Bedrooms (All En-suite, Master Bedroom with walk in closet). 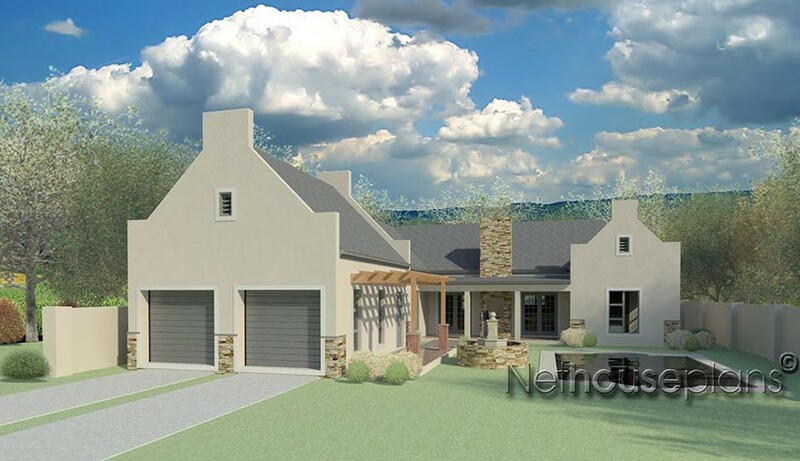 A 4 Bedroom Double Storey Home with a country feel and much more.